When I worked at Friendly’s Olde Ice Cream Shoppe as a teenager the store had two specials for retired individuals or members of the AARP. In the mornings, they could get breakfast for nary $2.99 including unlimited coffee, two eggs, and a side. In the evenings before 6:00 pm, as part of the Early Bird Special, the customers could choose from a list of entrees that came with a one scoop sundae. 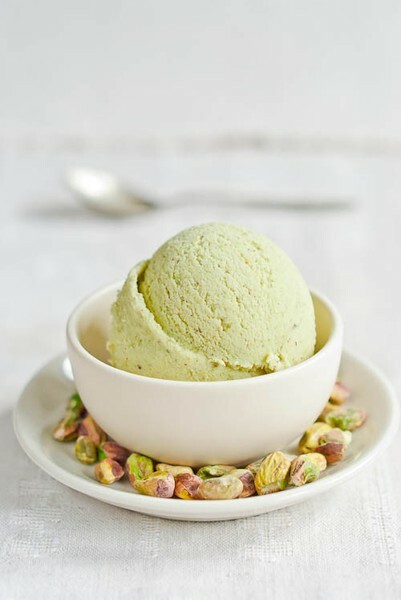 Invariably, the customers ALWAYS ordered pistachio ice cream. Once a person turns a certain age, clearly, this flavor will definitely become ones favorite. I must have served over 2,000 scoops of this green treat. Image Via Oh Joy! And what a joy it is! Image via Cook Your Dream. Image via The Girl Who Ate Everything. 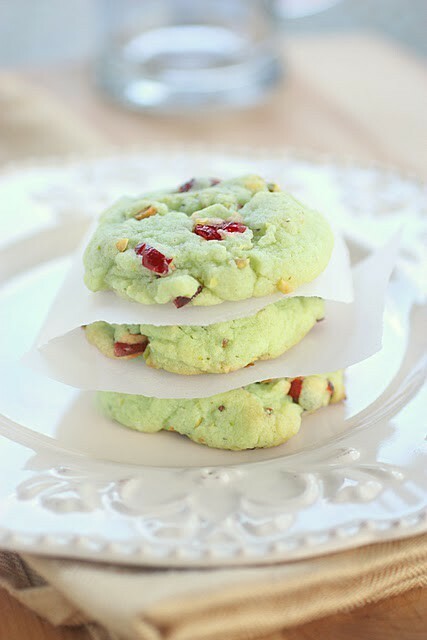 Why not use this cranberry-pistachio cookie to inspire your next room palette? 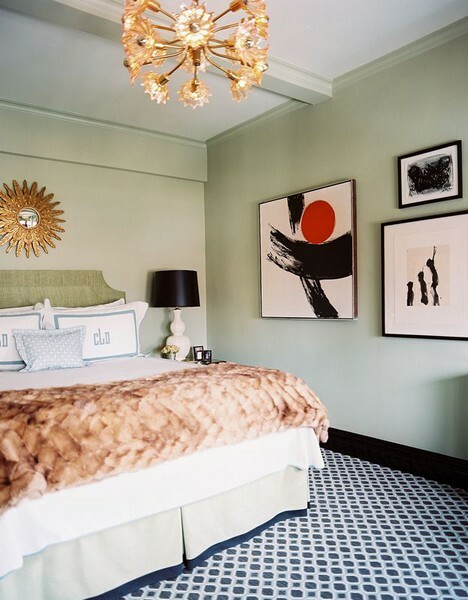 For the longest time this bold yet subdued green reminded me of granny squares and a retirement home in Miami – YET – it’s official, it’s cool again, it’s actually even, dare I say, YOUNG! It is even rumored that the pistachio nuts were creeping down the walls of the great wonder, The Hanging Garden of Babylon. Jason Oliver Nixon & John Loecke via Domino Magazine (RIP), October 2008. 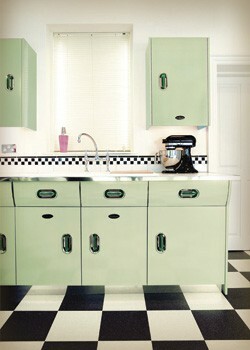 The Pistachio Tree meets the Mint Herb in this fifties, retro inspired kitchen (Here). 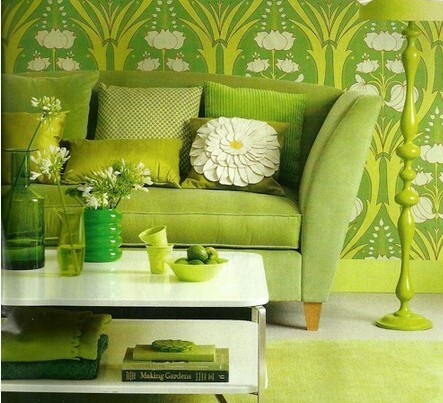 I know this monochromatic wonder is a LOT, but I feel as though I am sitting in a field of verdant grasses! Via Bright Bazaar and the U.K. based Ideal Home magazine. 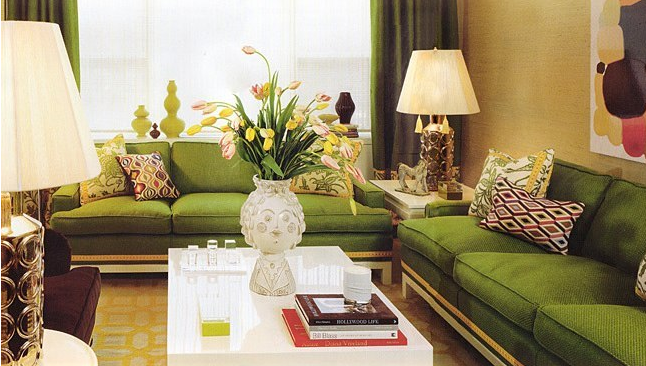 Jonathan Adler always hits the nail on the head with modern design mixed with traditional and antique finds. 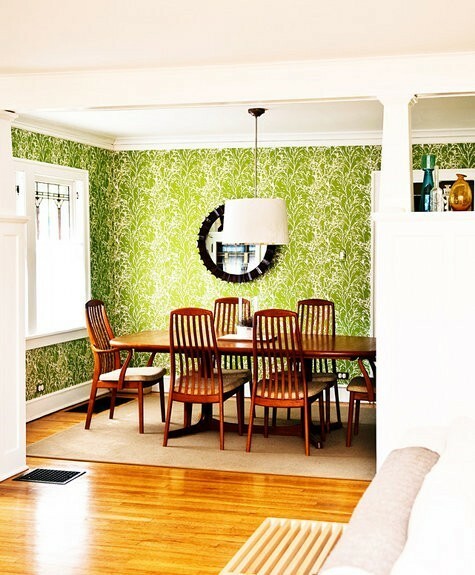 Hello white lacquer table. 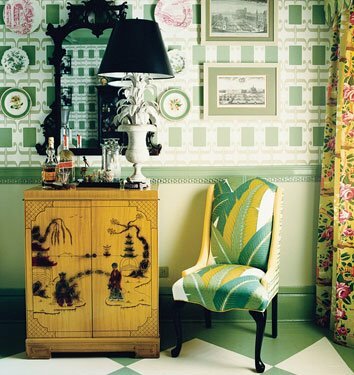 Wallpaper via Fern Living, image by Betsy Maddox. 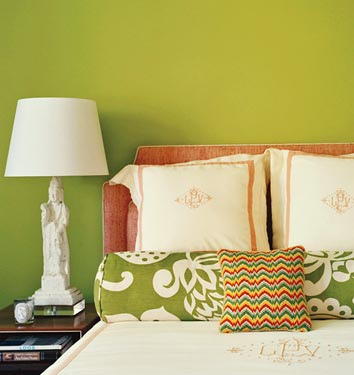 Image via Live Like You.